Can Creativity Help You Heal From Depression? An Interview With Carrie Barron, M.D. Dan: Why did you write The Creativity Cure? Carrie: I felt that the solutions out there for people with anxiety and depression were partial solutions, incomplete remedies. The way we live now causes stress for many people – the pace, the lack of rest or leisure, the relentless striving. Our technological, cerebrally focused culture has taken us out of our bodies and ourselves. Addiction to devices causes an imbalance and a malaise. When you are tied to a device 24-7 you may not be experiencing the fullness of all 5 senses, the things that make you feel energized. The primal satisfaction of making things and using the hands are slowly slipping away from us. For wellbeing, we have to make a conscious effort to maintain them. When my patients make and fix things, they feel better. Research shows that manual effort and creativity are antidotes for malaise. The Creativity Cure was written to help people find another way. Dan: I deal with lawyers with depression and other professionals that are on their phones and computers a lot. What kinds of things would you recommend that they do with their hands for physical? Carrie: It’s about getting out of your head. There are many cerebrally oriented people, but “ I think therefore I am” (Descartes) may not be the answer in the current culture. It is really becoming I think therefore I’m not. Too much thinking at the exclusion of physical and manual activity can make us depressed. Physicality, creativity and using your hands – – cooking or washing cars or crafting, painting walls or using watercolors — honor anatomical intent. Long ago manual action in everyday life was necessary for physical survival. Now we need these actions for psychological survival. The need to create is primal. Paint a wooden board or do Legos with your child. Do that thing you were always drawn and do it clumsily, imperfectly. You don’t have to have any experience as an artist or a maker of things. You don’t have to have a fine result. You can just explore, begin and build. The beauty is in the inner experience. Research has shown that meaningful hand use decreases depression. Dan: In your book, write about the unconscious mind. What do you mean by that? Carrie: The unconscious mind, the deepest most hidden layer of our mind houses our , primal self, our instincts, our intuitions and our truth. The unconscious is a treasure trove of clues about our natural self, our unique self. We can get in touch with the deepest layer of our mind via dreams and seemingly random thoughts. Noting where our minds naturally drift helps us learn about where we need to be and what we need to do. The unconscious is a very powerful resource. Dan: What is our unconscious trying to tell us for people who suffer with anxiety and depression? Carrie: Depression can have many different causes: biological, situational, genetic or hormonal. It can also be the result of trauma. Self-knowledge and insight – knowing what resides in your unconscious mind – helps with depression because as the saying goes, the truth sets us free. Talking to a pastor or a mental health professional can elucidate information that moves you forward. Understanding yourself: who you really are, what your instincts are or what you are actually upset about is key for positive change. Sometimes you think your concern is one thing and your deeper self tells you that it is another. Following unconscious clues helps you live more truthfully and happily. Dan: You mentioned “clues” from the unconscious. Can people that are dealing with anxiety and depression unearth these clues themselves? If a person did receive such clues, how would a person know, without talking to a therapist, know what to make of these clues? Carrie: Writing is helpful. Keep a journal. Take walks, try yoga, breathe, self-reflect, fiddle with paint, doodle, just let. Important material bubbles up when your mind slows down. Be curious and wonder, “Who am I that I love that, what does this leaning say about me, how can I this passion be part of my regular life?” Paying attention to the feeling that accompanies certain thoughts can help you. Certain involvements can make you unhappy but they are habitual so you just keep on. Acknowledging your true inner responses enables you to change. Breaking through denial is key. Dan: In my work helping lawyers with burnout, anxiety and depression, many of them that seem to contact me are middle-aged. Do you find that a lot of the people, the clients you see are coming to you in midlife? Carrie: Yes, and midlife can be the best time of life. Loss and disruption, while initially causing depression or anxiety, can lead to positive inner transformation. If we learn to seek pleasure, solace or a feeling of elevation from friendships, family, creativity, and tending to those we love, we are empowered. If you are dependent on an outside institution for your self-esteem, you are less in control of your life and more vulnerable. Define yourself; don’t let it come from the outside. Dan: I’d like to follow up on a point you make in your book when you talk about people not being in contact with their physical bodies and a visceral since of being alive. I spoke recently with Richard O’Connor, a psychologist in New York City who wrote the book Undoing Depression. He said that depression really wasn’t really about the emotion of sadness – – but about the absence of all emotion. Is that something that you see with the depressed patients you treat? 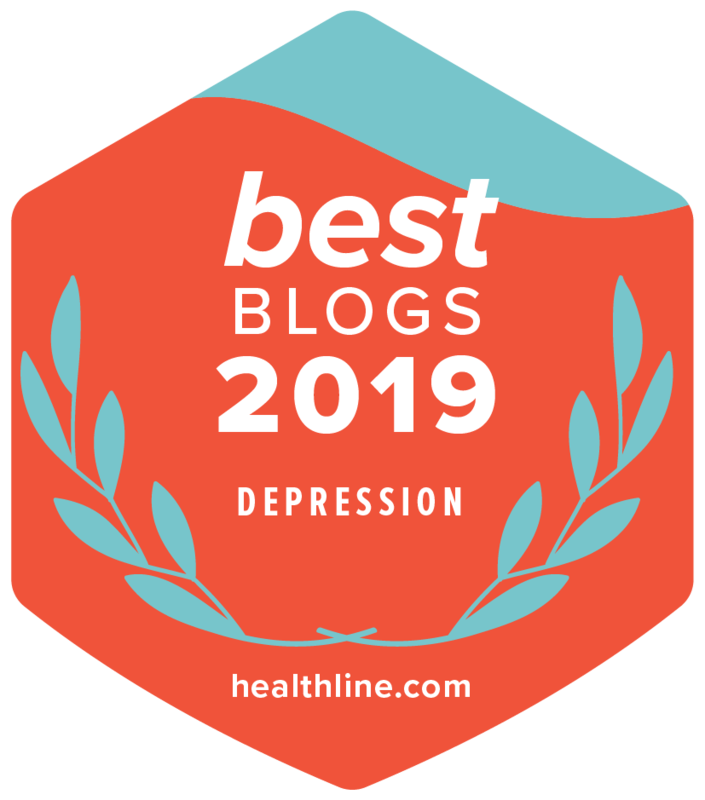 Carrie: I think it was Andrew Solomon, author of The Noonday Demon: An Atlas of Depression, who offered that beautiful juxtaposition: the opposite of depression is vitality – – not happiness. That really captures it. Dan: In your book you make a distinction. You indicated that The Creativity Cure is a good fit for people with mild to moderate depression anxiety, but maybe not major depression. Why? Carrie: For those who suffer from major depression and feel that their depression is well managed, The Creativity Cure is a great option for finding more vitality. Those who at baseline have mild to moderate depression and find that meds do not help enough can discover ways to unleash creativity and happiness in the book. It takes some motivation, but once you get going, you will have more energy and a greater number of happy moments. Dan: What percentage of your patients would you say depression plays a role in their maladies for which they’re seeing you? Dan: Wow – -that many. And to actually put The Creativity Cure into effect, how long do you generally work with somebody to get to the point where they can do it on their own? Carrie: We start right away by finding out as much as we can about who that person is and what makes him or her feel alive. We think about what is working and what is not, why certain choices were made and ways to redirect the self. Through the Five Part Prescription: Insight, Movement, Mind Rest, Using Your Own Two Hands and Mind Shift people can uncover their true leanings and find more vigor, inspiration, passion. For positive change, integrate the methods into your lifestyle over several weeks. Little steps! True change is all about a little at a time and building. Dan: In your career as therapist, have you treated lawyers with depression? Dan: Have you found anything about their life style that contributes to their depression? Carrie: I think its three things for lawyers, especially those in high-pressure positions. My client Marnie comes to mind. She is a 28 year-old lawyer who has to give up her personal life at the drop of a hat when she is needed. It is tough. Number one, she is often exhausted because 17 -hour days are not uncommon. Number two, there is a lack of autonomy because this 17 -hour day can be thrust upon her at anytime and continue for weeks. Marnie, professional, committed and with good attitude, has to be available in the moment, late nights, on weekends. But, compliance takes a toll. It makes her depressed to be in the office and not see sunlight. Not being in control of her time is hard. Even if the work is interesting, she has to give up other important involvements. Marnie feels lonely and isolated because she has little opportunity to be with old friends or to develop new ones. We are working on ways she can maintain friendships, even in text message or email shoot-outs if an in- the- flesh visit must be delayed. Number three is that living in your head all the time, no matter how brilliant you are, is not healthy. Smart as a whip with facts and numbers, Marnie garners much more pleasure from aesthetics. She likes design but has not felt free enough to develop this interest. Colors, shapes, proportions – thinking about these things makes her happy. It is a sensual, visual way of moving through the world. A big part of the treatment is making her interest in design part of her ongoing life. I think lawyers in general are really smart people who are great at using their minds. They have been reinforced for this all their lives, but for a richer, higher, happier state, many of these cerebral people need to get out of their heads and start using their hands. Go into a creative world. Balance mind, hands and body. Dan: I have given many talks around the country on the topic of lawyer and one of the things I like to say is that lawyers have the most active fantasy lives of most professionals I’ve ever spoke to, where they dream of doing something else than lawyering. Can those be clues that would fit in with The Creativity Cure? Carrie: Fantasizing is a sign of mental health. It’s a good thing. Learning about your inclinations through daydreams might lead you to change your life in a big way or make it better in small ways. Tiny steps allow for big changes because they foster consistency and this builds a new self in a solid way. If you’re interested in learning how to make beautiful cupcakes you can do that for an hour on the weekend. Play guitar, write poems, tend tomatoes in a vegetable garden and do it for a few minutes a day. Start small and make it part of you. Keep dreaming and keep doing. Contentment is about maintaining an identity that integrates your creative self. Carrie Barron, M.D., is a psychiatrist and psychoanalyst in New York City, an adjunct psychiatrist at Columbian-Presbyternian and author of the recently published book, “The Creativity Cure“. Please check her insight blog at www.creativitycure.com. 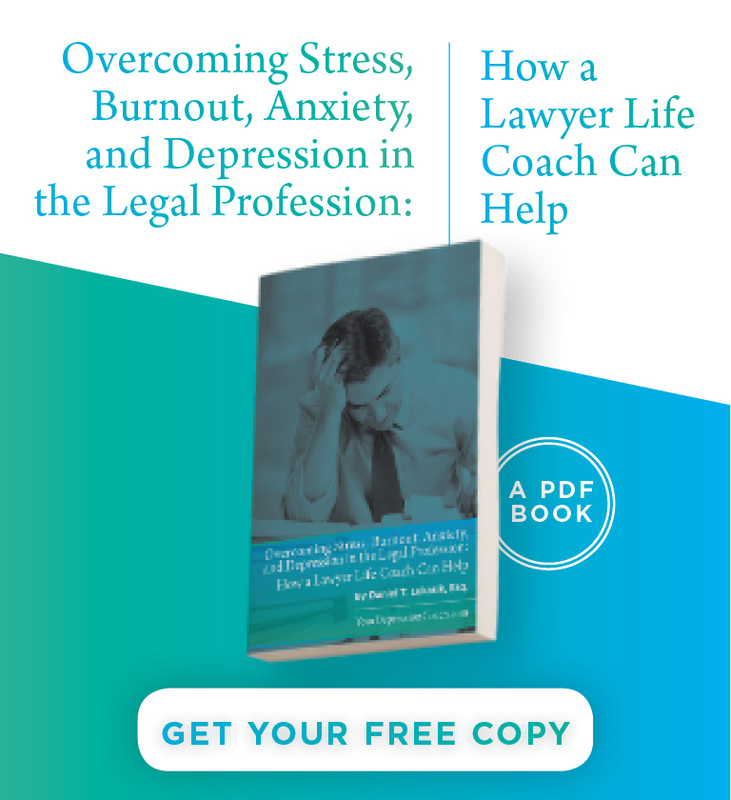 The Cost of Depression on the Job: $23 BillionAre Lawyers Worry Warts?